Powers up to 50 garden lights, not exceeding 3W each. Powers 2 X GREENLINE fridge/freezer units for commercial use. Small commercial milling, industrial tools, offices and schools for lighting and computer hardware etc. Due to the increasing demand for distributed electrical energy supply, Specialized Solar Systems has designed, built and implemented the DC (Direct current) off-grid Solar Power Stations – now used in many DC-based billable electrification and street lighting projects throughout Africa. The sizing for Specialized Solar Systems solar power generation stations is optimally designed according to the maximum energy potential that each solar Power Station will generate or supply. *Specifications are determined at maximum potential. Reduced values can be applied to specific designs. Key advantages of Specialized Solar Systems Midi Solar Power Station is its swift installation – anywhere, theft-proof construction with optional remotely managed and billable customer solar energy supply options. Specialized Solar Systems sturdy solar power stations were originally developed to supply managed renewable solar energy to multiple households from a central location (nano-grid style), but has many other energy generation applications, options and configurations. With its unique modular design, the Sub Solar Power Station can grow as energy demand increases. The Midi Solar Power Station is part of Specialized Solar Systems DCSMART energy deliverables which offer application-specific features such as optional remote consumption monitoring with automated switching, client management, weather pattern monitoring and a variety of automated customer billing options with payment facilitation. All these features are accessible in an integrated energy framework which forms the core of Specialized Solar Systems Smart DC Grid Technology offering. 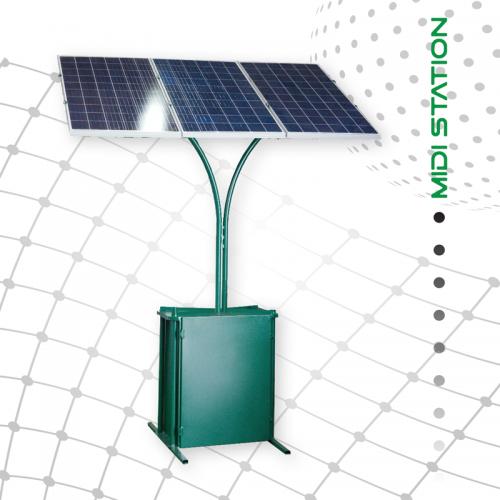 The different Solar Power Stations can be supplied in various configurations. Delivery of managed and billable energy to domestic houses and small businesses. Delivery of energy to community infrastructure. (shops, kiosks, mills, communication, refrigeration, workshops, etc). 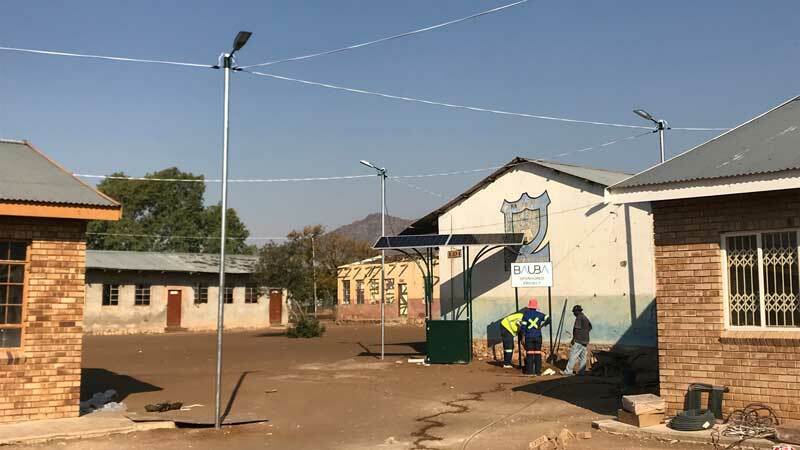 Above image: the Sub Centralised solar power generation station is being used to power 20 high powered and super energy efficient Specialized Solar Systems streetlights for the Bauba Secondary School outside of Steelpoort, Polokwane South Africa. The unit has considerable off-grid applications and offers remote management with consumption measurement per endpoint with remote switching on and off. This is managed using SSS-EPOWER, Specialized Solar Systems integrated online utility management framework with billings packaged and vendor management. Above image: A sub centralized solar power generation installation that was done on the outskirts of Cape Town, South Africa in a suburb called Jabula where grid power(Eskom) is not available and the locals have been waiting for up to 30 years for electricity. The unit is used to supply solar generated DC energy to 9 households by Zonke Energy, an energy service provider in the area. It consists of a sub-centralized solar energy station which is a remotely managed off-grid solar energy system that produces renewable energy at a central point that then feeds out to the surrounding households in the area. The customers’ accounts and billing are managed by Specialized Solar Systems online utility-based solar energy management framework, SSS-EPOWER, a world first. In order to supply you with an optimal Solar Power Station design, customers should please contact one of Specialized Solar Systems representatives about your off-grid power requirements.